Attack | Pro Chem, Inc. 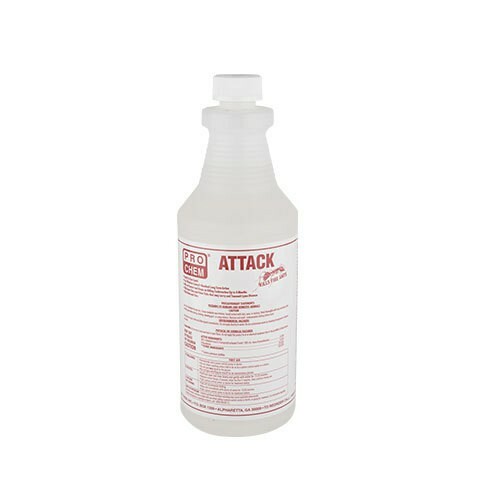 ATTACK is a ready-to-use liquid insecticide. It kills a broad array of insects, including fire ants, on contact. It may be used outdoors as an aid in reducing annoyance from flies, mosquitoes and many other insects. Follow directions according to label. To kill fire ants and carpenter ants: Spray insects directly and spray ant trails. 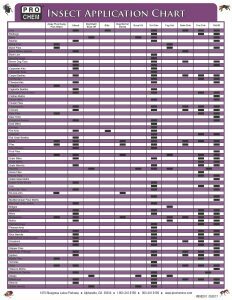 General: Use this spray as a spot or crack and crevice treatment to control cockroaches, fleas, silverfish, ticks, waterbugs, and other insects listed below. Apply this product only as a coarse spray or crack and crevice treatment to localized areas where pests are found or may occur. Spray surfaces until wet but not to the point of runoff.